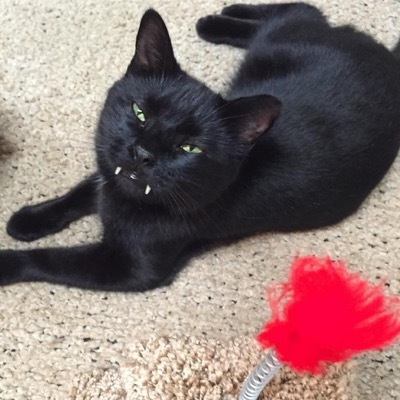 A woman rescued a kitten with ‘vampurr fangs’ from the streets and he stole her heart. Nicole Rienzie was on her way home with her mother when she spotted a tiny black kitten in the street. 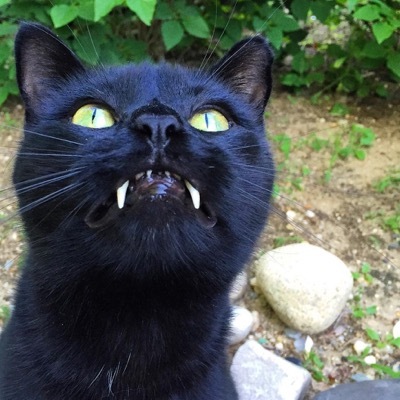 “He darted in front of my mom’s car. We stopped and got out,” Nicole explained “He was covered in filth, bugs and very malnourished. His eyes were infected shut.” The tiny kitten was very weak and his eyes were badly infected, so much so that he could barely see as he made his way along the street. They decided that the best thing to do was to take him home. Before long he had a full meal in his belly, a much needed bath and with lots of love and attention they nursed him back to health. 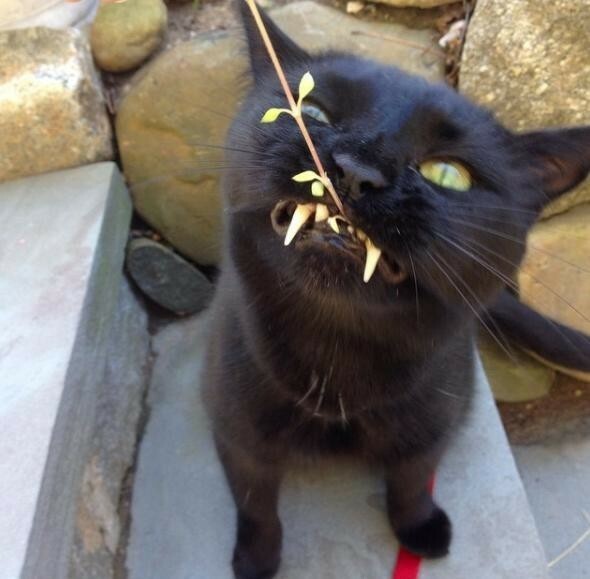 It wasn’t long before this fortunate kitty began to show his wild side. He was always running around and eager to play so they thought the name Monkey would suit him and so he became Monk. “He quickly earned his nickname because of his silly, hyper antics,” explained Nicole. 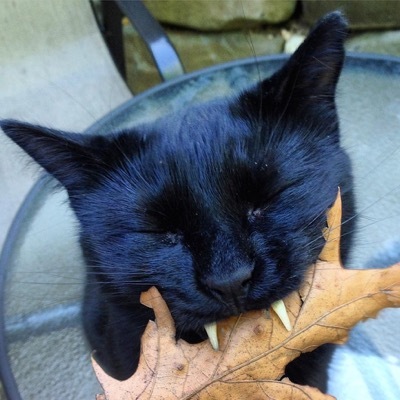 When Monk’s teeth began to grow it appeared that those canines just kept getting longer and longer. 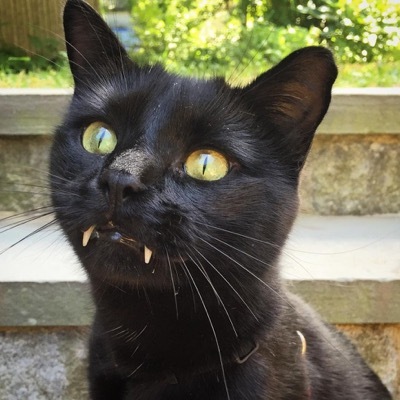 Before long, he had two fangs make him look like a little vampurr! “At first I tried to find him a home but I realized how much our meeting was divine alignment. I needed him just as much,” said Nicole. 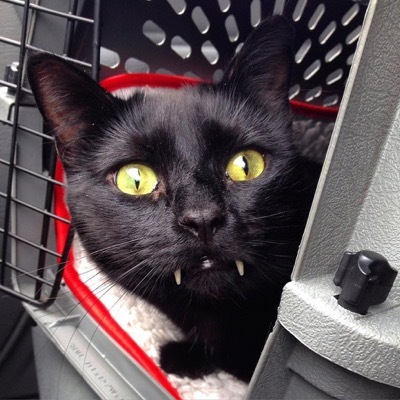 Nicole was soon reassured by the vet that there is nothing wrong with the long fangs. It’s rare, but it does happen in some cats. 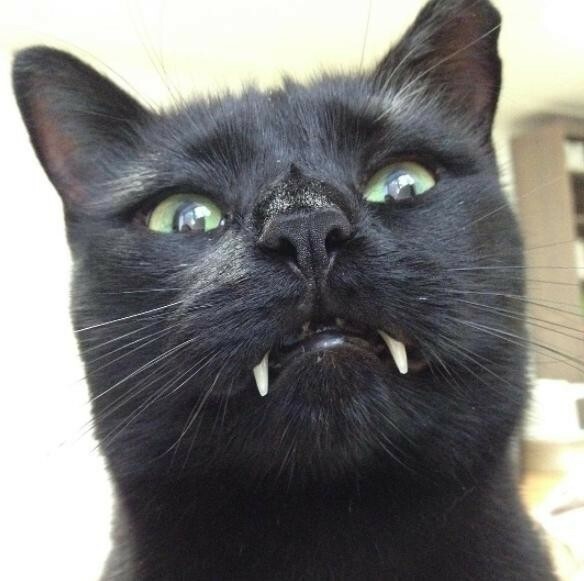 Nicole decided to set up an Instagram page to show off Monk’s amazing vampurr teeth and his popularity soon grew, he now has over 24,000 followers. 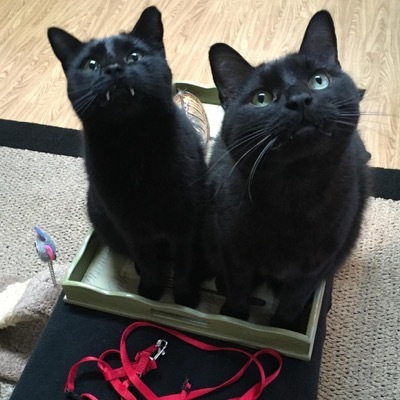 After Monk had been with them for about a year, they rescued another black kitty and named him Bean. It wasn’t long before the two became firm friends. Monk has quite a feisty character but he’s very sweet to his humans and his best friend Bean and loves to give him baths.What a very special kitty! You can see more of Monk and Bean on Instagram.